Includes admission for 10 people, signage at the event and on all promotional materials. REFUND POLICY: Please note that cancellations and refunds cannot be processed after June 24, 2018. Thank you for your understanding. Experience fresh salmon (provided by Ocean Beauty Seafoods) prepared right in front of your eyes by the talented chefs at Hamanasu in downtown Seattle! 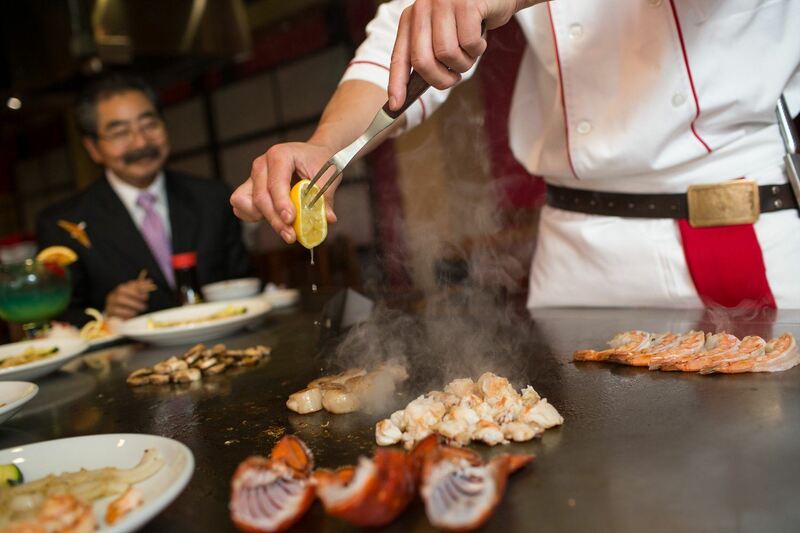 We'll start off with appetizers and salad before moving on to the main attraction: Sockeye Salmon prepared on the teppan grill. Embrace the bounty of the Northwest with a close look at one of our most important industries and enjoy learning fishy facts. Admission includes: 2 glasses of beer or soft drink, soup, salad, salmon entree, grilled vegetables, steamed rice, and gift bag.